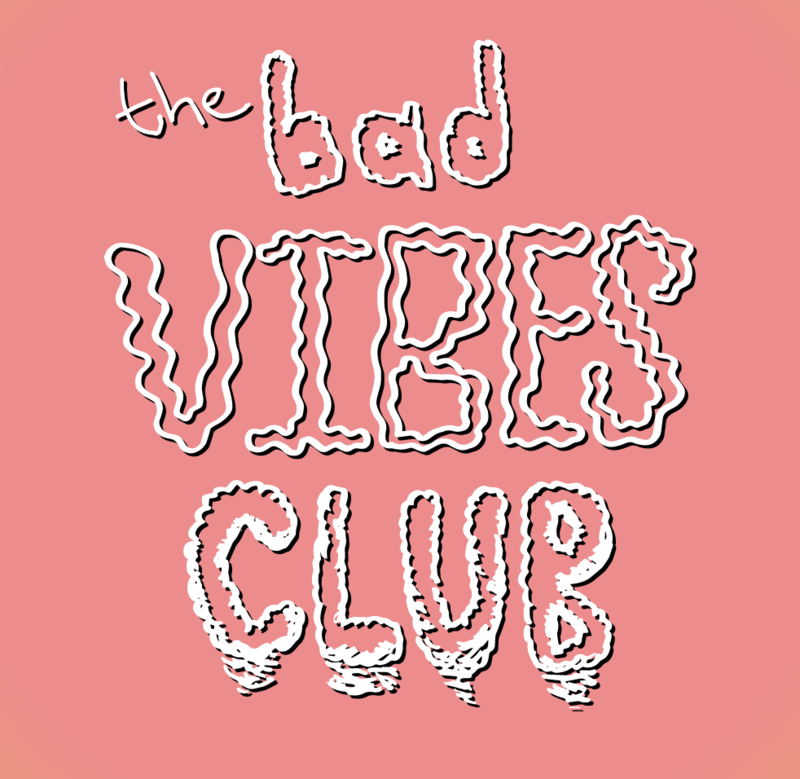 Flat Time House hosted The Bad Vibes Club in 2017-18, a forum for research into negative states, founded by Matthew de Kersaint Giraudeau in 2014. 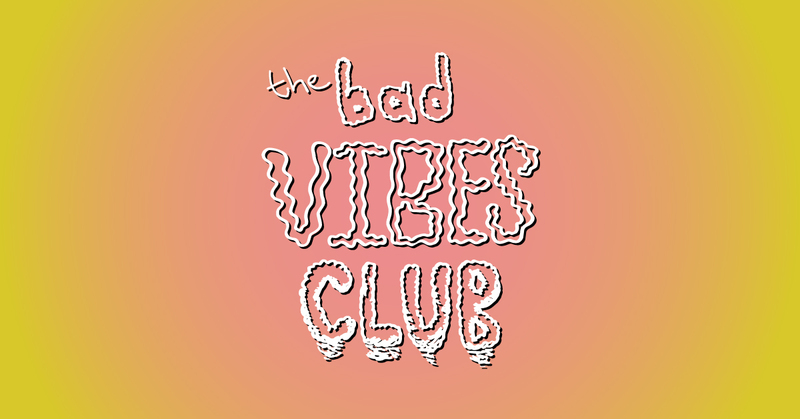 The Bad Vibes Club is a forum for research into negative states. Founded by Matthew de Kersaint Giraudeau in 2014, The Bad Vibes Club has hosted a lecture programme and reading group at Open School East, produced one-off events at the Barbican, ICA and CCA Derry, and produced a long term research project, Interruptions, with Field Broadcast in 2016. Whilst at Flat Time House, Beth Bramich and Matthew de Kersaint Giraudeau will host 6 months of reading groups and a number of live events touching on a variety of themes: force feeding, fire, women's time and resentment. Feelings are Facts: A Life (2006) a memoir by dancer, choreographer and filmmaker Yvonne Rainer. On her book, Rainer has written "If you're interest in Plato, you're reading the wrong book. If you're interested in difficult childhoods, sexual misadventures, aesthetics, cultural history, and the reasons that a club sandwich and other meals — including breakfast — have remained in the memory of the present writer, keep reading." We will be reading two non-consecutive chapters, Chapter 11: The Plot Thickens and Chapter 15: Protest, Performance, Puppets. The first chapter focuses on Rainer's relationship with artist Robert Morris and the second her attendance of and involvement in protests and activism within the artistic community in response to the US invasion of Cambodia in 1970. This reading group is another Eve Kosofsky Sedgwick essay because the last one we read was so good. This one is called 'Shame in the Cybernetic Fold: Reading Silvan Tomkins' by Eve Kosofsky Sedgwick and Adam Frank. We Found Love in a Hopeless Place (2015) by historian Gabriel Winant is an essay written for N+1 magazine, which sketches an historial arc through the development of affect theory. Taking in writers and thinkers such as Fredric Jameson, Silvia Federici, Foucault, Silvan Tomkins, Eve Kosofsky Sedgwick, Ann Cvetkovich, Sara Ahmed, Lauren Berlant, Elizabeth Freeman and Wendy Brown, the essay examines the role of emotions in movements of the left in the 60s and 70s up to the present, with a slant towards how affect theory can be applied to the problem of how to engage with and remain active within contemporary politics. The first reading group of 2018 is a chapter from Eve Sedgwick's book 'Touching Feeling'. The chapter is called 'Paranoid Reading and Reparative Reading, or, you’re so paranoid, you probably think this essay is about you'. Beth Bramich leads a discussion of the text ‘Women’s Time’ by the Bulgarian-French philosopher Julia Kristeva. Published in 1979, the text sets out how concepts of time have been aligned with gender — in particular the identification of linear time and history with masculinity — and how this has informed and been critiqued by generations of feminists. We’ll discuss how the different models of time described and proposed by Kristeva relate to existing and potential political movements. Matthew de Kersaint Giraudeau leads a discussion of the text 'Resentment/Ressentiment' by the Australian philosopher Michael Ure. The text outlines the history of the emotion of resentment — how it has been understood both as the basis of democratic politics and as a morbid, debilitating emotion. We'll discuss how different ways of understanding resentment can help us think about contemporary politics: Brexit, Trump and ethno-nationalism but also radical feminism and the black lives matter movement.